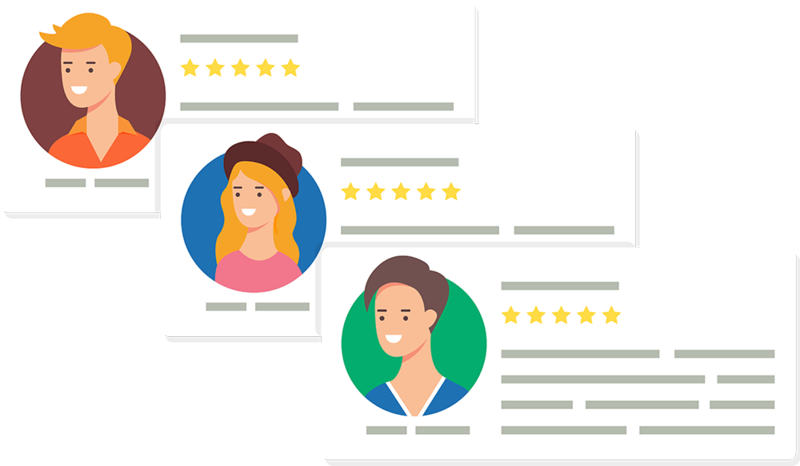 Generate positive reviews from satisfied customers on sites like Google, Facebook, CitySearch, Superpages and more. and manage your business's online reviews in one location. Use our Review Generation tool to email customers and ask them about their experiences. 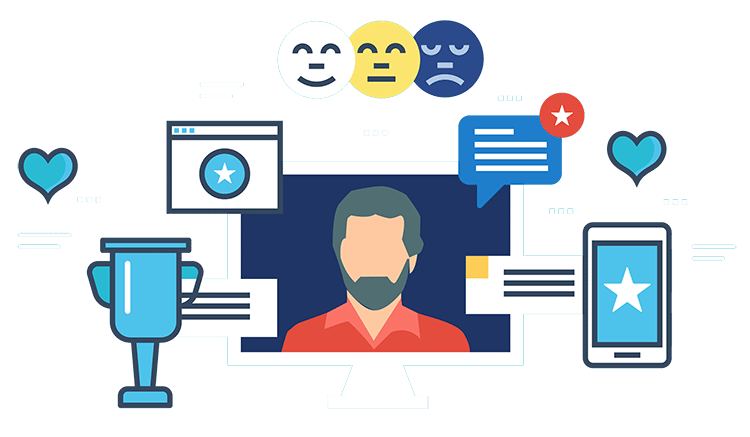 If a customer reports having a positive experience the system encourages him or her to share a review on the review websites of your choice. If a customer reports a negative experience, then you're notified and the negative review is never made public. Start Getting Positive Reviews Today! 73% of consumers say positive reviews make them trust a business more. 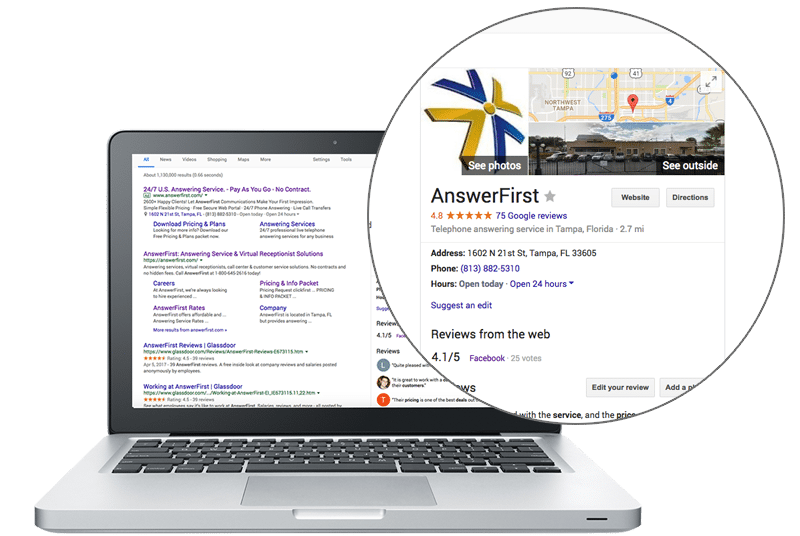 Use ClickFirst's Reputation Management solution to stand out in Google search results by having more positive reviews than your competition. Never miss a new review again! Get alerted the moment a new review is discovered and monitor reviews from the top review sites in one simple dashboard. 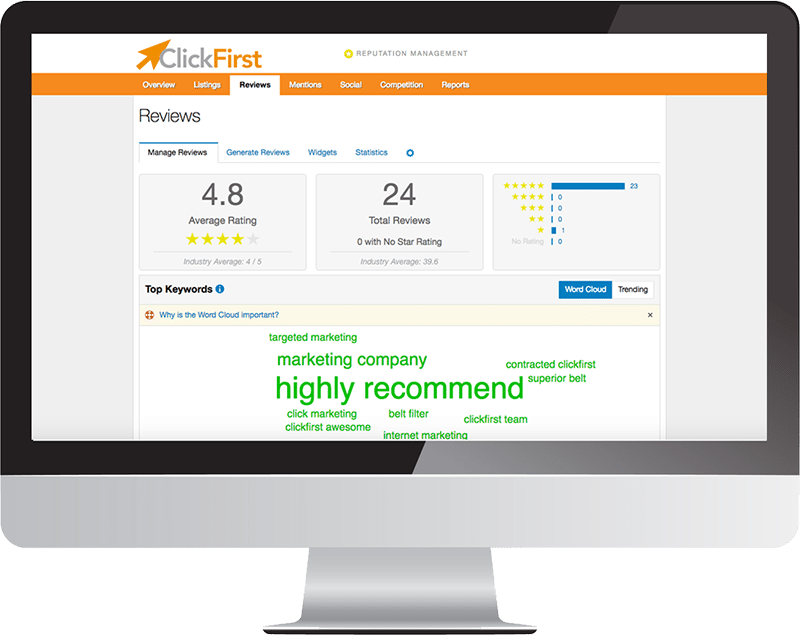 ClickFirst's Reputation Management is perfect for businesses in every industry because it pulls reviews from all major review websites including: Avvo, Bing Local, Cars.com, Citysearch, DealerRater, Edmunds, Expedia, Facebook, Glassdoor, Google, Houzz, Indeed, Kudzu, OpenTable, Rate MDs, SureCritic, TripAdvisor, Vitals, Yahoo, Yellow Pages, Yelp, Zomato and more! 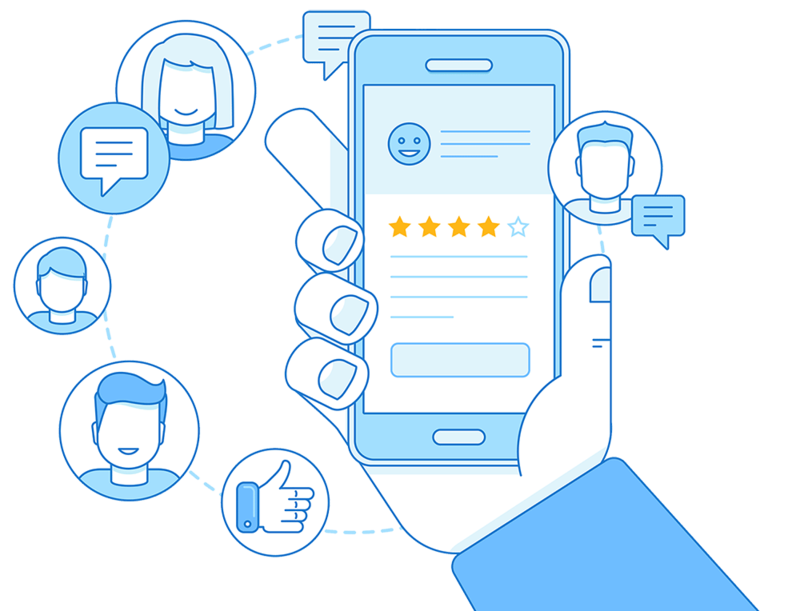 Share your customers' testimonials on social media with just a few clicks. Automatically publish specific types of reviews to a mobile-optimized listing and a widget on your website. Start getting positive reviews on Facebook, Google, City Search and Superpages right now!